Have you ever held an elephant’s tooth? Well it weighs about 12 pounds, and looks nothing like what you would expect. In fact, many people don’t even know that it’s a tooth. It is the Explainer’s job to teach museum visitors that elephants only have four dull teeth, which they grind food to make it digestible. Explainers, in my opinion, play the most vital role in museum education. They convey to the public what the museum cannot—the underlying, quirky, and interesting things that cannot be easily discerned from wall texts and pamphlets. I spent my summer training to be one of these wellsprings of knowledge and encouragers of curiosity as a Museum Education and Employment (MEEP) intern at the American Museum of Natural History. Explainers are an integral part of conveying the excitement and intrigue of science, which can sometimes appear tedious and abstruse to visitors. This group of museum employees and volunteers knows the stories behind the science: how researchers survived elephant and cheetah attacks, how arctic explorers bartered with natives for precious meteorites, or how fossil hunters fought off Mongol robbers. It is the mission of Explainers to break this stereotype of researches as men in lab coats doing math and not much else. Explainers work to bring excitement and wonder back into science. During my time as an Explainer, I realized how my stories could inspire interest and facilitate larger conversations among visitors of all ages. Instead of simply listing off facts about creatures like the Pachyacephalosaurus, Explainers challenge their audience to uncover these details for themselves. 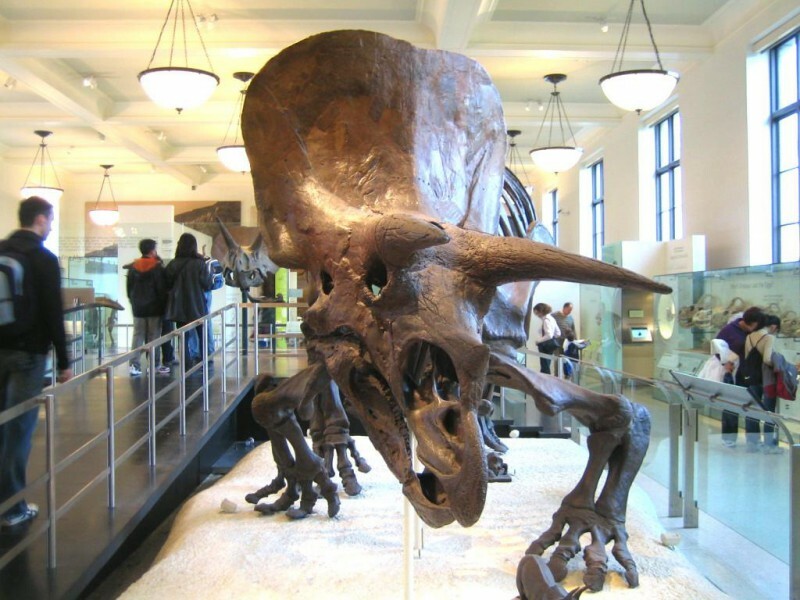 Rather than telling a group of children that Pachyacephalosaurus had a ten-inch-thick skull and is known as the head-butting dinosaur, Explainers ask the question, “What do you think?” This is the most powerful question an Explainer has in their arsenal. It allows the audience to forget about our expert or teacher status, and puts the power of the conversation into the visitor’s hands. The answers a group of seven-year-olds can dream up is astounding and nine times out of ten they’ll get to the answer. Facilitation also allows for the visitor to feel more accomplished in learning something new, for they’ve discovered these facts on their own. Guided by an Explainer, visitors don’t even know they are actively participating in science, it just feels like fun.